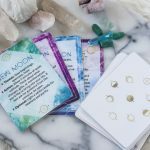 Do you feel worthy of love and comfortable setting boundaries? Do you feel a sense of peace and understanding in taking action on things you can control and allowing things you have no control over to happen? 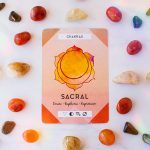 When your solar plexus, or Manipura, chakra is open and balanced, you experience a strong sense of authentic power, and use that power to make a difference in the world. You fully understand your worth and have healthy self-esteem and self-confidence. 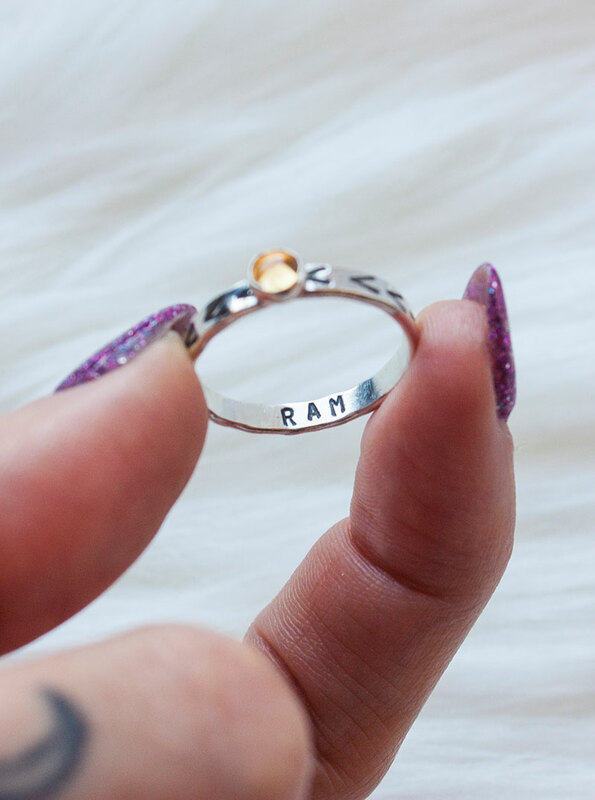 This chakra, located right above the navel, is also where the ego lives. It is the seat of fire in the body, overseeing your emotions, motivating you to achieve your goals, and governing your self-esteem and self-discipline. But like any other chakra, this chakra can become unbalanced. You feel powerless or like a victim. You often feel anxious and insecure. You either feel the need to control and manipulate everything or you let others control you. You experience frequent stomach or lower back pain. You feel like you have to give your power away in order to keep the peace. You have addictive tendencies and tend to form co-dependent relationships. 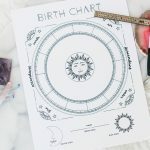 The good news is there are many simple ways to balance the solar plexus chakra. 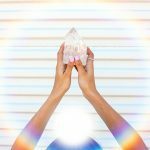 Use one tip or combine several, and find what works for you to get you back to a place of authentic power and control. 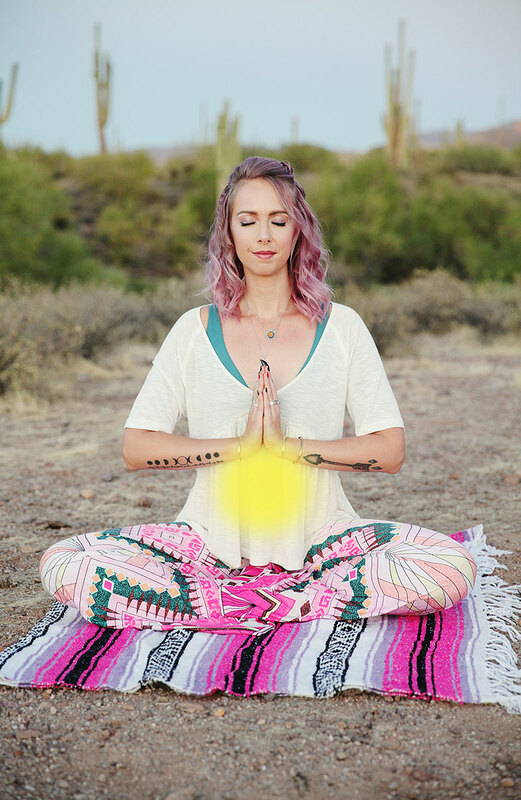 The solar plexus chakra is associated with the color yellow and the element fire, so getting outside in the sun can be a big help. Try doing one of the tips below outside, like yoga or meditation, go rock climbing, go for a hike, or simply take a walk around the neighborhood. Ginger, chamomile, and mint all work well to open this chakra. Poses that light a fire in the belly— aka focus on the core— are perfect for balancing Manipura. Try Boat Pose, Warrior 2, or a series of Sun Salutations to light that agni. Speaking of fire, “breath of fire” or Agni Sara pranayama can help balance the solar plexus chakra. It is similar to kappalabhati breathing, but both inhales and exhales are forceful. The idea is to contract and release the core muscles. Start in a standing position with the knees gently bent and the hands on the knees. As you inhale, press the stomach out. As you exhale, draw it in. I rule from a place of authentic control and power. I am open and free from the need to control everything. I use my power for the highest good. I release judgement of myself and others. 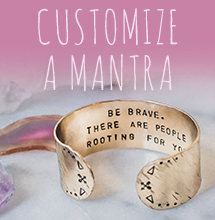 To learn more about the power of mantras and how to use them, click here. Citrusy oils like grapefruit, lemon, orange, and even peppermint are great for healing the solar plexus chakra because they aid digestion, a solar plexus issue. You can also try ginger, fennel, and ylang ylang to clear negative energy and bring in positive energy. 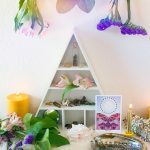 Burn candles or incense with these scents, diffuse essential oils, or mix these oils with a carrier oil like sesame or coconut and massage them onto the body. 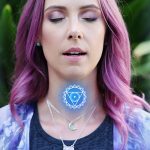 It can be particularly powerful to rub them on the belly, the center of this chakra. 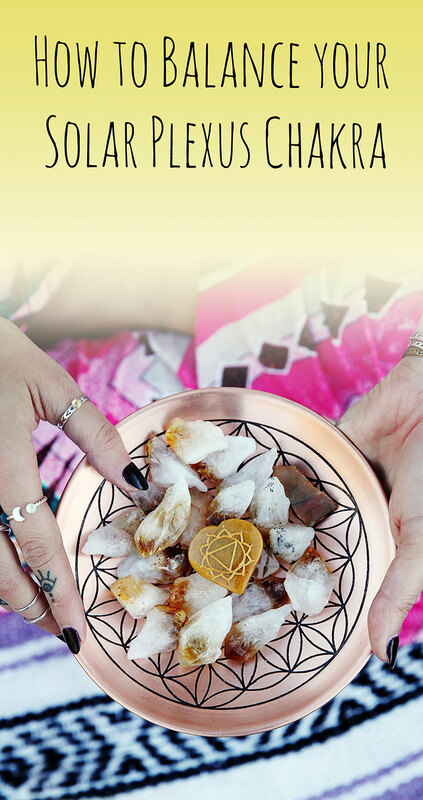 There are many different crystals you can use to balance the solar plexus chakra. Yellow-hued stones tend to work best, since yellow is the color of this chakra. 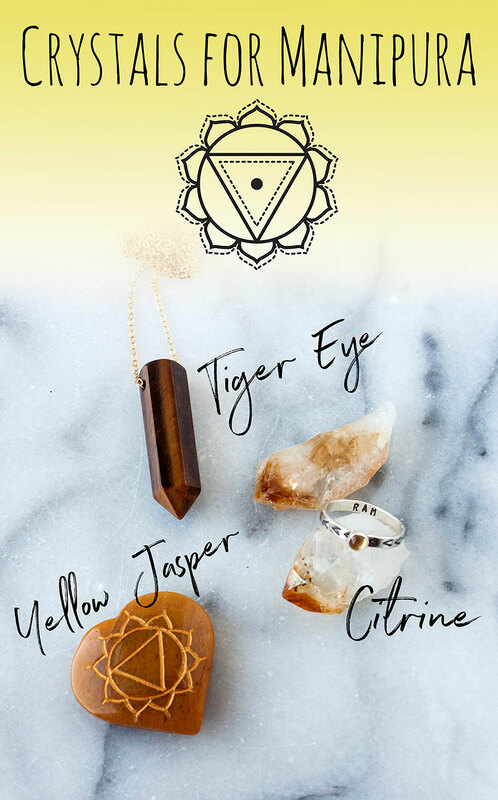 Try citrine, yellow topaz, honey calcite, amber, yellow jasper, or tiger’s eye. 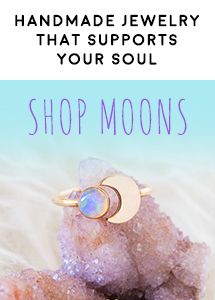 Incorporate them into your yoga practice, meditate with them, create a crystal grid on the ground or on the body over the navel area, or wear them. 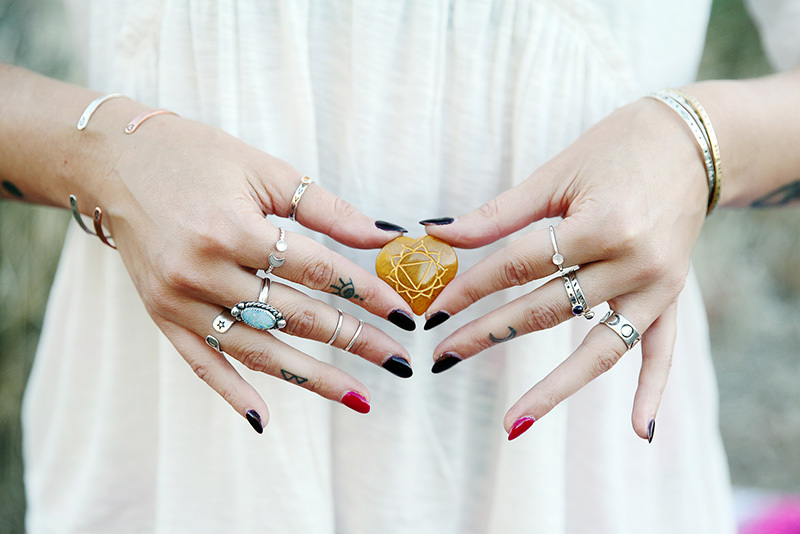 Find our citrine Solar Plexus ring here. 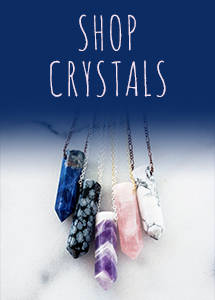 To create a crystal grid, choose a few stones from the list above that resonate with you, plus clear quartz. 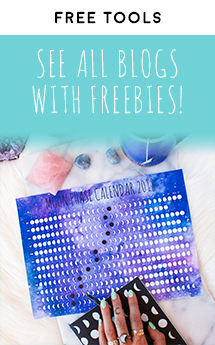 Decide on your purpose for the grid, and write that intention down. It could be something like “I reclaim my personal power” or any of the affirmations and mantras above. 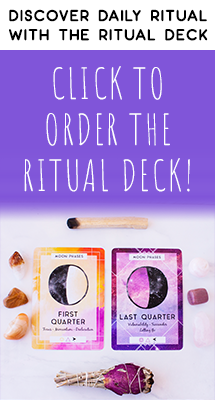 Then, cleanse your crystals with sage, salt, or palo santo and place them in a geometric pattern on the bare skin of your navel with the clear quartz in the center to amplify the energy of your grid. 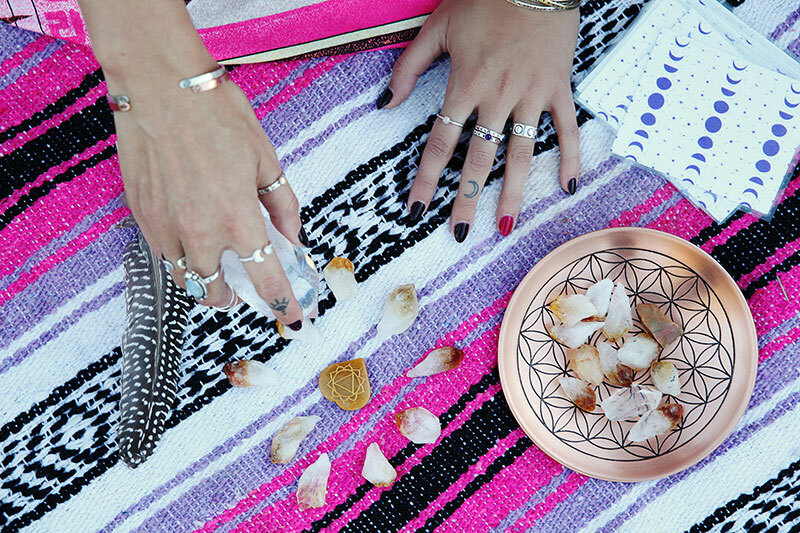 Spend at least a few moments with the crystals on your skin, meditating on your intention. Wearing yellow and eating yellow foods such as corn, bananas, yellow peppers, lemons, and sunflower seeds are an easy way to work on opening this chakra throughout the day. Try imagining a glowing golden ball of light, a burning flame, or a bright yellow flower opening over your navel to open Manipura. 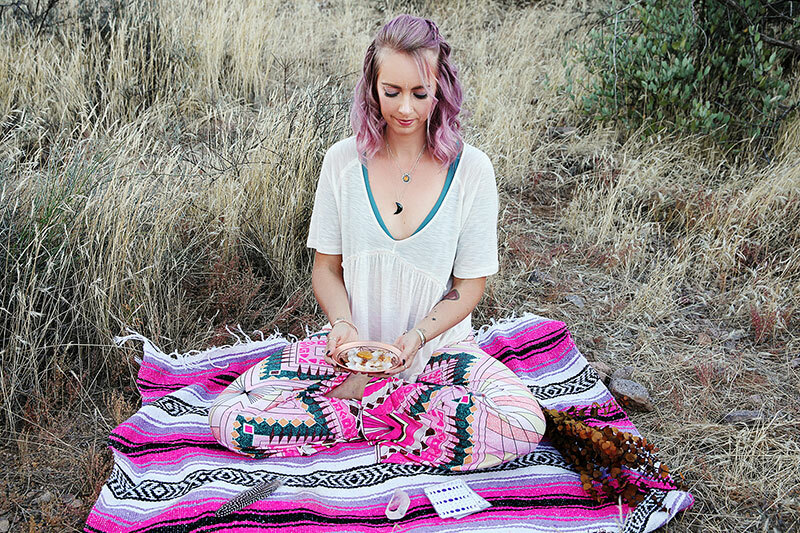 Sometimes all it takes to balance the solar plexus chakra is a little change. Try switching up your routine, releasing anger by yelling as loudly as you can (in your home alone! ), or attending a laughing circle. 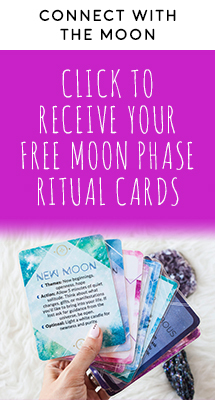 These activities allow you to activate your personal power, release control, introduce a little joy, and create a positive flow of energy in the body. 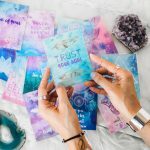 Shop wearable, meaningful reminders of your self-worth and authentic power here, all handmade in the US with love and intention.